I like wiring and electrical so this will be a piece of cake aside from the limited room I have to work in. I did what you said and removed the entire white holder thinger mabobber that held the connectors in place and just ran extra wiring to make the connections. Got a crap load more room. While I like tucking bays and stuff and wiring in new toys, I really hate doing electrical "repairs" such as this. My LR turn signal would work sometimes, sometimes it wouldn't. One of my buddies (Mitchsubishi on these boards) was with me and witnessed it. It worked one minute, next it didn't. We turned my car off and turned it back on, it worked. I ran a new tail lamp harness, new bulbs, no dice. Rear wiper was on the fritz too. I would turn it on and it would stop wherever it wanted to, except the down position. I looked like a fool driving down the street with my rear wiper standing straight up on my rear window. I have a feeling all my electrical woes will go away after this. I hope. Last edited by revvin9k; Sep 10, 2008 at 09:27 AM. They will har solder everything seal the grommet and kiss your woes goodbye. My lights and wipers would stay on when the car was off I had to disconnect the battery. Honestly, the Evo is a bad *** ride, once you work out ALL the gremlins. It's gonna take a lot of time and a lot of money to get the Evo right. As many times as I tried to sell her, i'm gonna keep her and finish one project that i've started. Wow.... now my rear wiper doesn't even work. My test light is at work and the fuse is good. LR door lock is still inoperable. LR turn signal still not working. Anyone know the color of the wires for the rear wiper and LR turn signal, possibly the door as well? EDIT: I went to my work for a wiring schematic, than went to Mitsu. 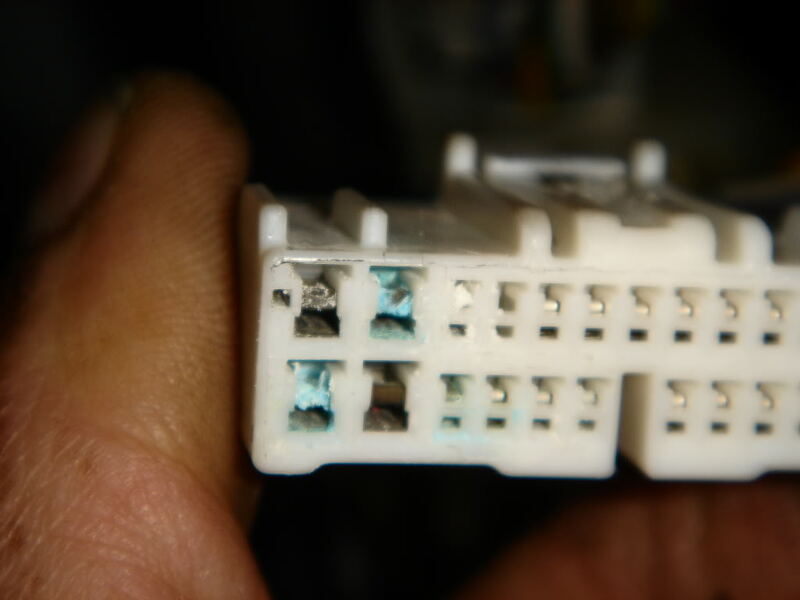 To make a long story short, the reason most of my LH stuff wasn't working or working intermittently, was because there is a connector to the front of the fuse box w/ a blue/white wire that controls the wiper, the LR lock, and the LR turn signal. 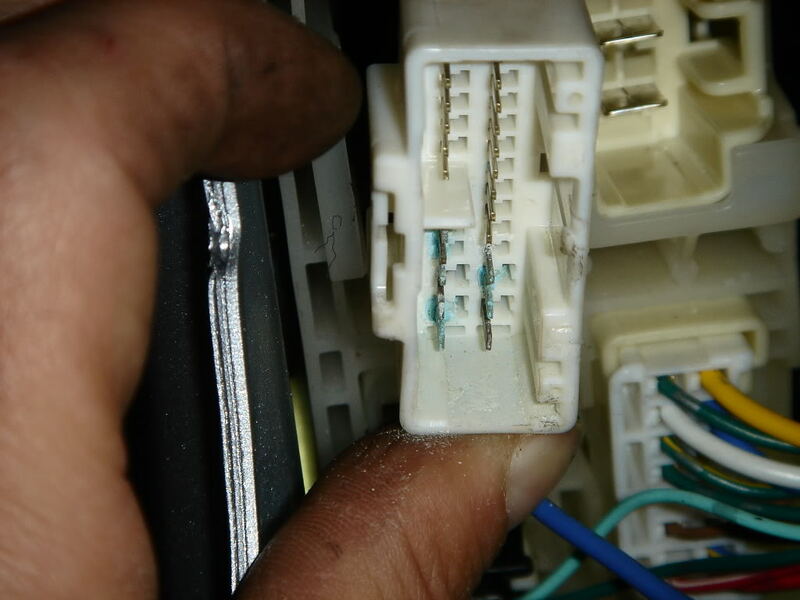 It was loose before, causing the intermittent problems, after the connector fiasco, it must have come completely loose. Making me think I did some bad wiring work. Thanks for the informative sticky. Saved me a lot of BS. Last edited by revvin9k; Sep 10, 2008 at 01:10 PM. My power steering just shut off today for no reason. The car was still on though. I immiedietly turned the car off and on everything was normal. Is any of the power steering power running through these harnesses? yah i got some gremlins too. just started doin this a few weeks ago, car had a boat load of water in the back rear driver floorboard, and now when push down on the gas the dash lights flicker but only when the gas pedal is depressed. hope this sticky helps me. I had this happen to mine too. Ended up cutting all the plugs and hardwiring them all together during a torrential downpour. Let me tell you how much fun it was driving home in a bad rain storm and having my wipers and lights stop working. My 03 is having all of these issues, I would just randomly go out to my garage to see the lights/dash on, was going to call the police that someone was trying to steal my car The 2nd time it happened I noticed it was only during heavy rain or driving through a lot of puddles. Gonna try to take a look at this tonight thank you! My evo 8 had the Check oil light flash intermittently while at idle. The car is idling fine and the oil level is fine as well. It started doing this because of all the snow in the NW burbs in IL. Would this issue help alleviate this oil light issues as well. Just wondering. Thanks.